What Conditions Make Mold Grow on Bread the Fastest? Mold is a living fungus that, unlike plants, can't process light for nourishment. However, mold does require small amounts of water and food supplied directly from a host. If you have ever seen green or white spots on your bread, or thrown out a loaf of bread covered with black mold, you know that bread is one of the foods appealing to certain molds. 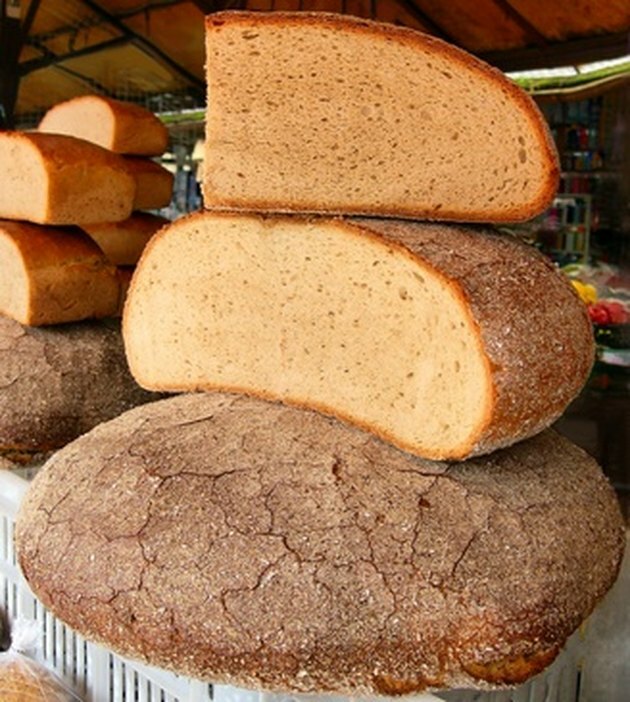 Many kinds of bread area treated with chemicals specifically to retard the growth of mold. Do not eat any bread with any sign of mold. The small spots you see are just the visible parts of an extensive network. Wrap any moldy bread tightly so as not to breathe in the dry spoors, and throw it away where no pets or children will be exposed. Bread is a perfect host for certain types of mold. 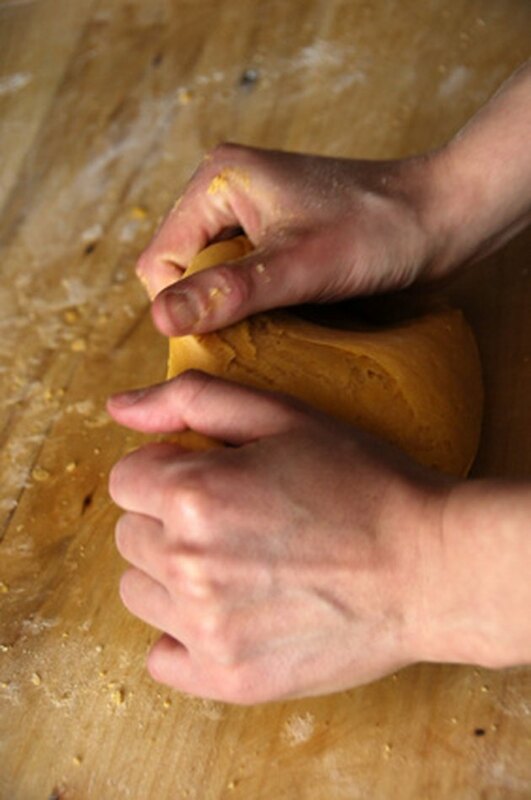 Moisture spreads the yeast through bread and also is necessary for mold to grow. 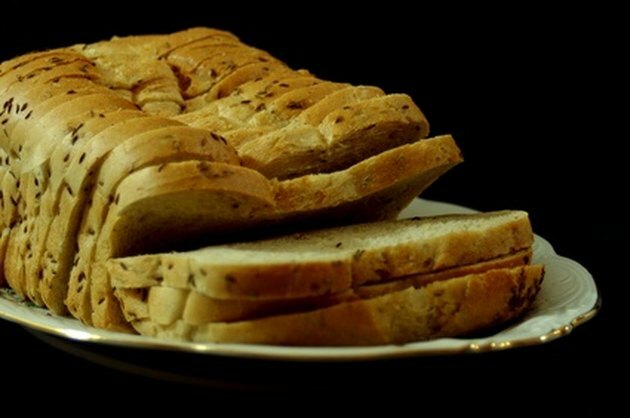 Bread is a fairly dry food, but there is always some moisture in it, because water is how the "good" mold (yeast) spreads throughout the loaf and makes it rise. When prospectors, pirates, pioneers and soldiers wanted to preserve bread for days or months, they made sure it was very dry. Hardtack and dry crackers have very little moisture and withstand the growth of mold. The moister the bread, the faster the mold will spread and grow. Unlike lettuce or grass, molds need no light. In fact, light can retard the growth of mold. Mold on bread grows fastest in dark places. 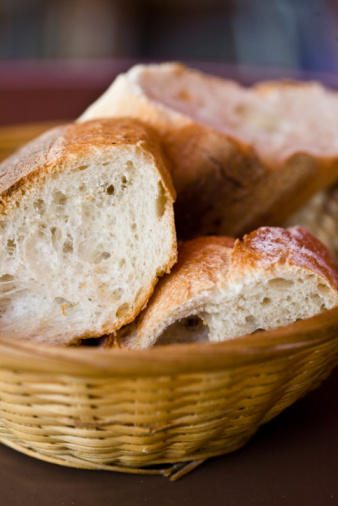 Unwrapped bread can be invaded by airborne mold spores. Although a tight wrapper promotes moisture retention, which encourages mold, airborne mold can spread through the air to land and grow on unwrapped bread. Like most growing things, many molds prefer warmth and grow faster in warm conditions.. However, there are many kinds of mold that grow well in chilly temperatures. The freezer is cold enough to prevent mold growth. Threresa Curry is a feature writer who has been contributing articles on interesting people, food, health, home and gardens to regional and national magazines for 30 years. As the Communications Manager for an international non-profit health agency, she writes and edits newsletters and other publications for people with chronic disease. Will Freezing Kill Mold on Bread?